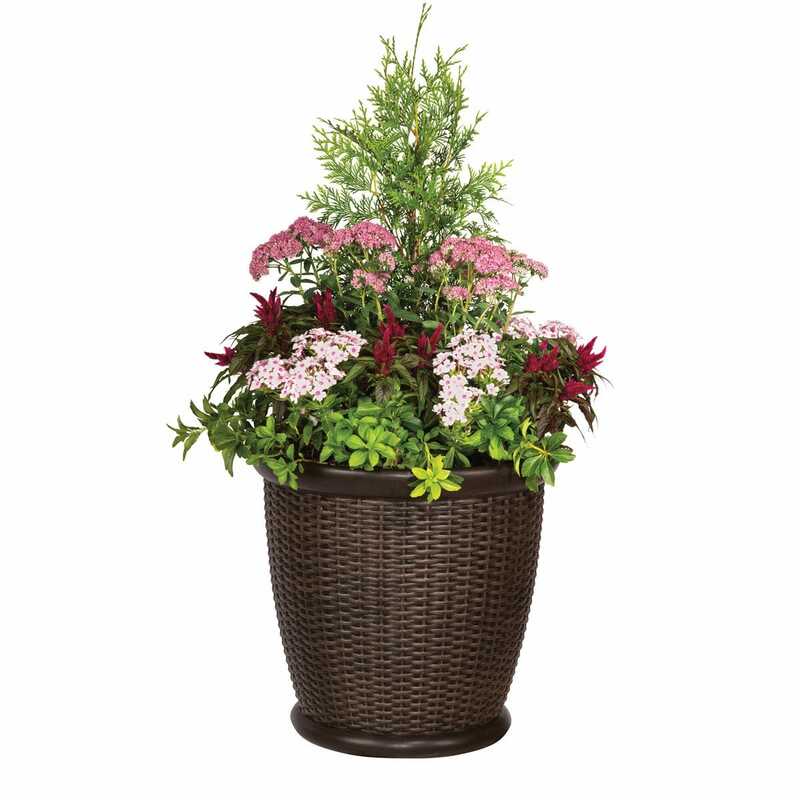 A charming addition to your home or patio, the Willow Resin Wicker Planter will stand up to any weather conditions and is UV-protected so the sun will never fade that rich java color. 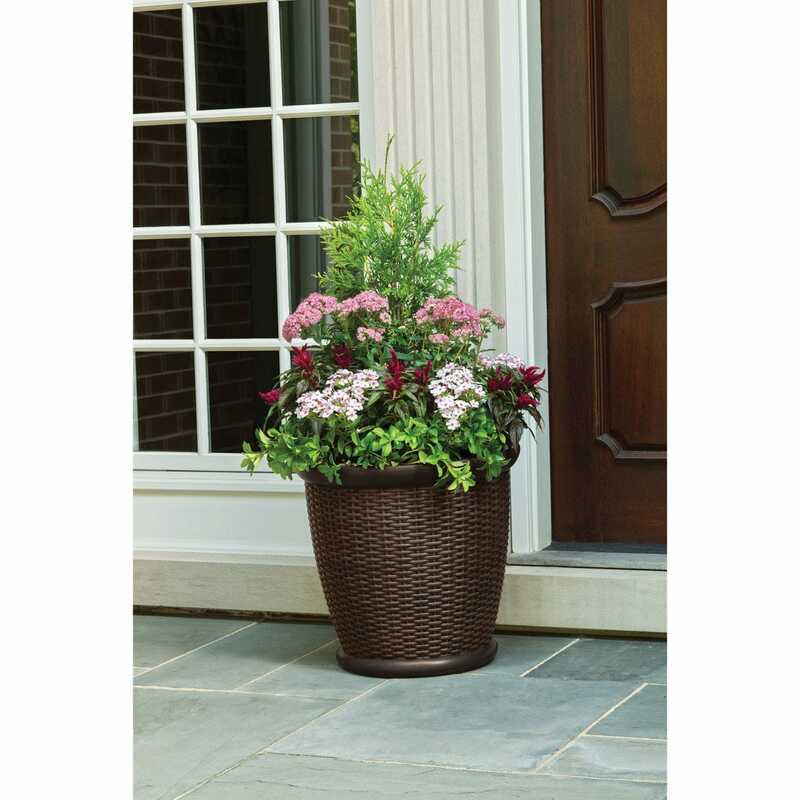 Lightweight resin retains moisture longer than standard clay pots, and the faux wicker texture lends itself nicely to any small plant or floral arrangement. Multiple size options are available. Resin wicker molded construction. Java color. Drillable drain hole. For indoor and outdoor use. Measures 18”dia. x 16 1/2”h. Set of 2.